The Kenya Museum Society was established to support and promote the National Museums of Kenya (NMK) with two primary mandates: to raise funds for the work of the museums and to train museum guides. KMS also runs the bookshop at the Nairobi Museum. Through public events such as the Annual Art Show, proceeds from the bookshop and other projects, funds are raised to support the KMS grants programme. Grants awarded to the National Museums in 2002 exceeded KSh 3 million. 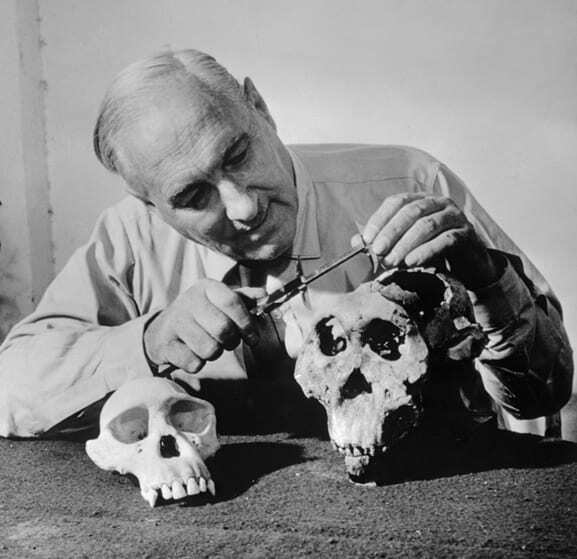 Louis Leakey was born in 1903 and grew up in Kabete, Nairobi. Forty-five years later he proclaimed to the world that the Horn of Africa was the cradle of mankind. Teaming up with like-minded enthusiasts Joel Ojai, Dr. Thomas Odhiambo and Professor Joseph Mungai, in 1955 Leakey formed the ‘Kenya Museum Associates’ to finance the group’s activities putting Kenya in the global spotlight of prehistory assets. 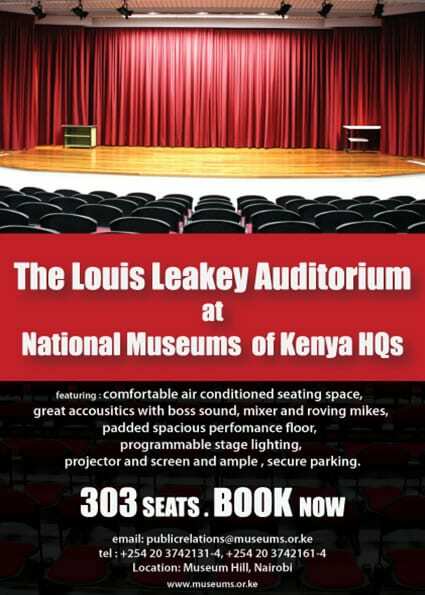 In 1971 Louis’s son Richard Leakey formed the ‘Kenya Museum Society’, a non-profit making organization for the purpose of supporting the programmes and activities of the National Museums of Kenya (NMK). KMS funds were used for the development and installation of Joy Adamson 2 exhibition at the Nairobi National Museum that opened in 2016. The ongoing exhibition is a display of watercolours of cultural people, botanical art and the wild animals of Kenya painted by naturalist Joy Adamson starting in the 1930s. The paintings are accompanied by cultural artefacts from the Cultural Heritage Department of the Nairobi National Museum. The Osteology Department of the National Museum of Kenya is undergoing a major refurbishment thanks to a grant of Ksh 3.5million from KMS. The current space is being upgraded with new shelves for storing specimens, dissecting tables and more sinks. This will enable the department to expand its taxidermy services and accommodate requests from more government institutions across the country. A new art shop at the Nairobi National Museum’s art gallery opened in 2017 with support from KMS. Here you can view and purchase original artwork from a collection of paintings by various contemporary East African artists. The National Museums of Kenya is an ideal place for families and school children. KMS supplements attractions at the Nairobi National Museum with year-round activities aimed at younger visitors. Events are organised around art, science, nature and wildlife. At the Kids Dudu Walk children were taken on a tour of the entomology department of the Nairobi National Museum followed by a movie about dragonflies. This excursion into the fascinating world of insect world was led by entomologist Laban Njoroge (also known as Bwana Dudu) who also explained the importance of insects to the environment. Exploring the Universe was an evening of discovering the wonders of planets and stars. Susan Muraba and Daniel Chu-Owen, founders of Travelling Telescope, set up a mobile planetarium and huge telescope in the Museum courtyard. Children (and adults, too) gazed at the moon and stars up-close, created mini-rockets with bottles and baking soda, and were laser-guided through a tour of the night sky. The ‘Big five’ game animals are well known but less so the ‘Small Five’. Bernard Agwanda, head of the Mammalogy Department, spent the morning teaching children about these little animals of Kenya. The children made models of wildlife, created pen and paper drawings and listened to a reading from the children’s book The Small Five by Ralph Johnstone, illustrated by Harriet Stines. The Karura Forest outing was a fun forest walk for children. Youngsters were guided through this city forest and learned out about its birds, animals and plants. They were also taught their importance, and what they, as children, can do to conserve nature wherever they are. The KMS shop in the Nairobi Museum, stocks beautiful and ideal souvenir gift items.